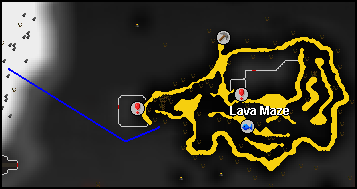 The Lava Maze is located around level 50-57 wilderness, so be aware of PKers (Player Killers). 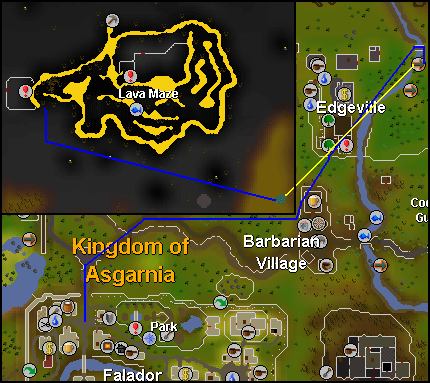 There's quite a bit to do, you can train there, high alch there and you can open the infamous Muddy Chest. This is a quite good training place, as there are Lesser Demons in the center, and there isn't anyone most of the time. 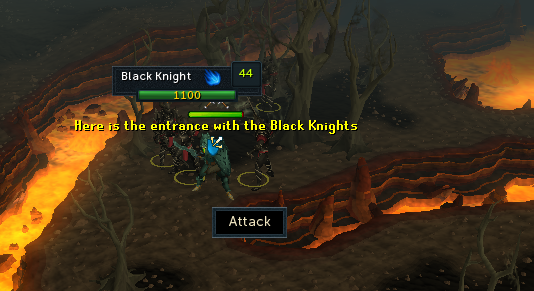 Pretty self explanatory, just walk up from Falador. 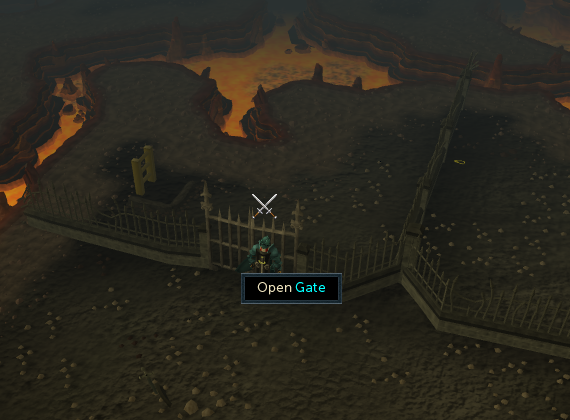 Cast Ghorrock Teleport (Level 96 Ancient Magick) and run to the lava maze. 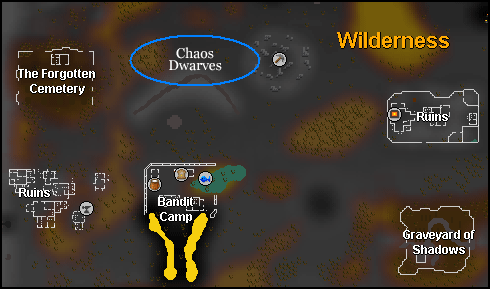 From Falador, walk to Edgeville and make a Waka Canoe, canoe to the wilderness. Now just run to the maze. This is a freeplay option. Walk to level 26 wilderness and cast any teleport, preferably Falador or Varrock if you want to make another trip. Or you could just walk back. If you want to get back, just run to level 39 wild and rub your glory to Edgeville. 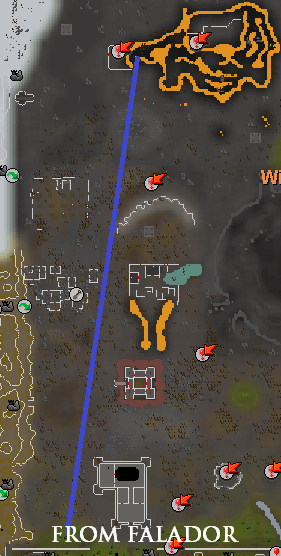 If you don't want to risk your glory, you can walk to level 26 wild and cast Paddewwa teleport (If you're on Ancient Magicks) go up the ladder, and you're in Edgeville. You can train quite a lot at the lava maze. 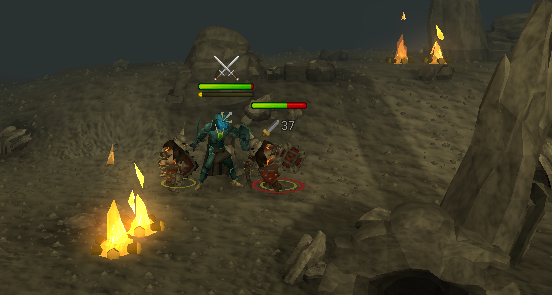 You can train Prayer, Magic, Mining, Ranged and Combat. This makes it a great training spot. You can even make money! Bring Natures and a Staff of Fire for high-alching, because there spawns a Gold Necklace, a Steel Platebody and an Earth Staff. If you pick them all up and high-alch them, you get a total of 2,370gp (1,200 + 900 + 270), if you bought the natures for 300 each you get a 1,470gp (2,370 - 900) profit. 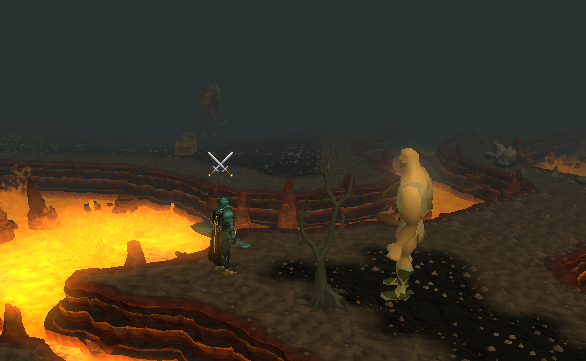 There's a spawn of hill giants, who drop big bones, which give 15 prayer xp when buried. Big bones are the best bones for Free To Play. 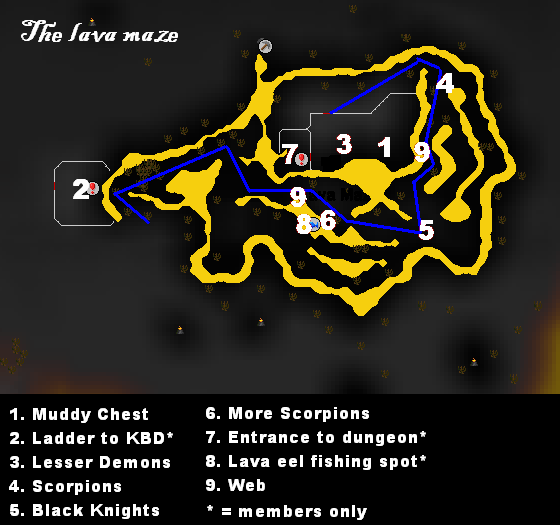 There is a wide range of monsters in the Lava Maze, varying from Black Knights (level 44) to Lesser Demons (level 100). This makes the Place perfect for combat training, as you can fight the lesser demons first and when you've got only about 150-200 Life Points left, you go to weaker monsters. Be careful of other players! Don't forget your knife or slashing weapon, as you'll need it to slash through the spider web blocking the way! In the Lava Maze dungeon, which is down the ladder (marked 7 on the map above) there is a rune rock. There are also two rune rocks just north of the maze. You must have 85 Mining for these. That's the ladder in the corner. 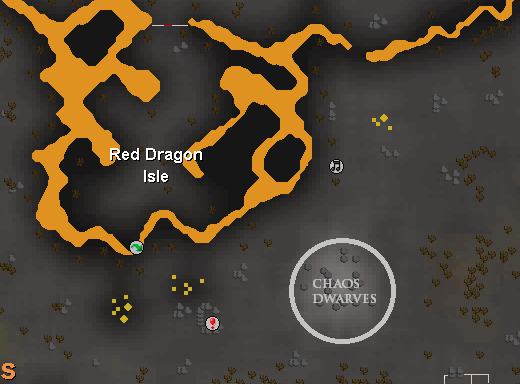 As you can see, the chaos dwarfs spawn around level 44-47 wilderness. 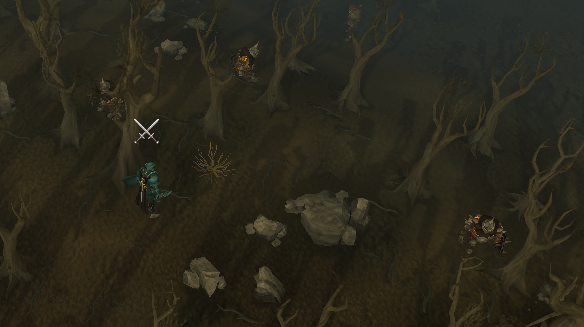 As always in the Wilderness, beware of players, waiting for an unsuspecting Miner to come by. Epic loot. It is advised you to don't high-alch anything, as you'll only lose money. The Greater demons can be hallied, ranged or maged, and there are also some safespots. But most important: Rune Rocks (which almost nobody mines, mind you) You can hally the greater demons and fight the dragons while waiting for the ore to respawn. Note: Always bring anti-poison, because if a poison spider hits you, you're automatically poisoned. 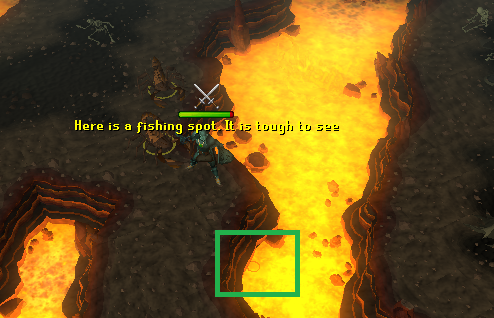 The fishing spot is just a Lava Eel fishing spot, one of the only 2 in the game. The second is in the Taverley Dungeon. Lava Eel fishing requires an Oily Fishing Rod and Fishing Bait. The Oily Rod is made during the Heroes' Quest. Those "circles" or ripples on the right of the above picture are the fishing spots.